THANK YOU for your amazing entries in last month's challenge! 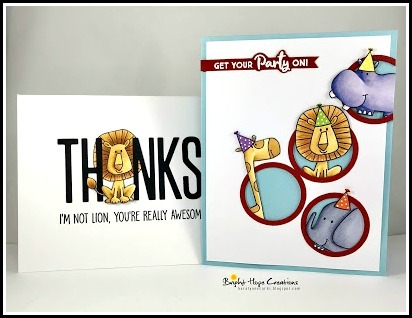 We appreciate your enthusiasm and support and love to see how you interpret the prompt and stretch your stamps, stencils, dies, and design skills! Feel free to interpret the prompt however it inspires you to make two different designs for two different occasions! 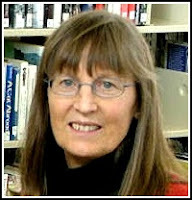 You are welcome to make two conventional designs or a combination of one conventional and one unconventional design. Every month we will have a conventional challenge winner. We will also have an unconventional challenge winner if there are any unconventional designs. 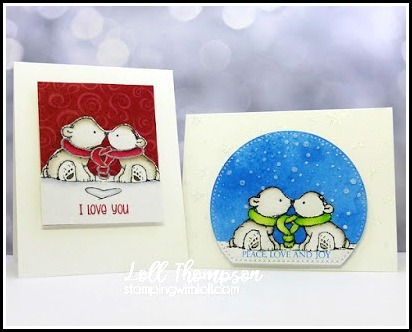 This month we have the conventional winner from our February challenge as our Guest Designer. 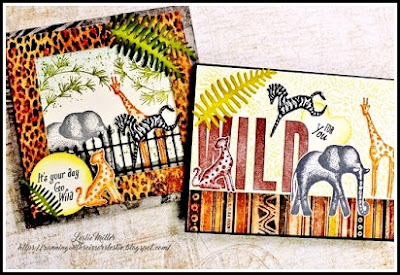 Please welcome Susan with her Twofer pair of beautiful zoo animal cards! Thank you, Susan! 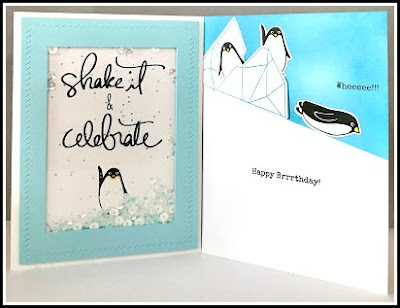 We hope you will also be inspired by the example creations from the Design Team! You can find the details on all these inspirational Twofers on the designer's individual blogs. We hope you'll take a closer look! Rules, Definitions/Examples, and FAQ tabs above. at 12:05 AM (PST) April 30th. Oh WOW!! 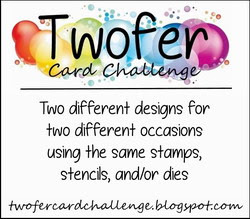 You guys keep coming up with awesome themes for the challenge, this one is no exception. 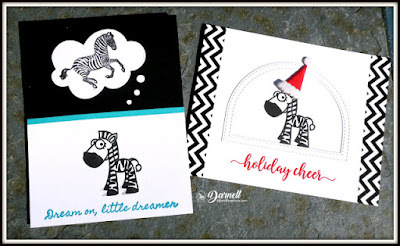 I'm going to go check out my stamp stash for Zoo animals and see what I can come up with. Thank you for the amazing inspiration from the Design Team, you guys are simply fabulous. 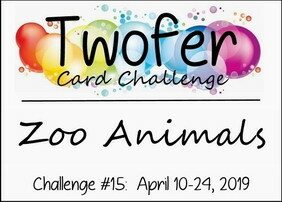 It will be fun creating two cards with zoo animals. :-) Ladies, congratulation to the fabulous inspiration cards! 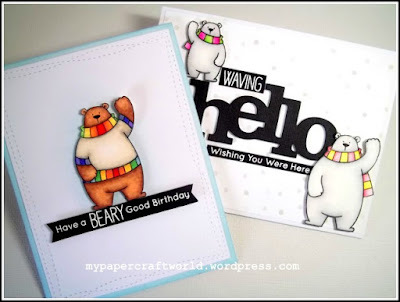 darling cards from the team! What a great challenge... and the DT cards so so inspiring. Count me IN! Just love the challenge and thanks to the team for the inspiration!! What a fun challenge, and I'm LOVING these great cards!